There’s something nice about cooking your meat and veggies at once and having a quick meal ready. This is what I’m feeding my son for his lunch today. 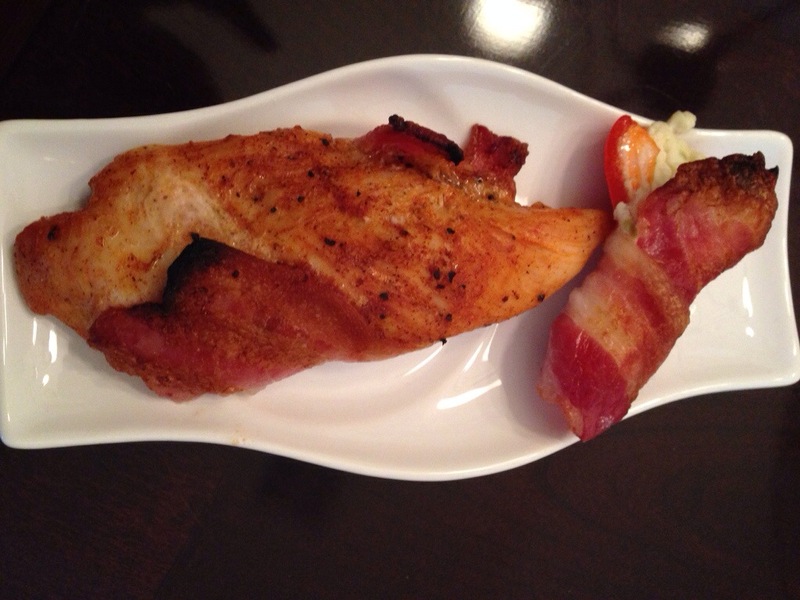 Sweet peppers with cream cheese wrapped in bacon, chicken tenders marinated overnight in a sweet smoky barbecue rub and then wrapped in bacon because…I mean, Bacon! Broiled in oven together for 10 minutes. I’ll post the recipe for the chicken later.